In the famous verdict which was later known as “hindutva judgment”, apex court's three-judge bench in 1995 had held that Hindutva/Hinduism is a way of life of the people in the sub-continent and “is a state of mind." A seven-judge Bench of the Supreme Court headed by Chief Justice T S Thakur today began a crucial hearing for an authoritative ruling on the interpretation of Section 123 (3) of the Representation of the People Act, and decide whether an appeal for vote in the name of religion will come within the ambit of ‘corrupt practice’. 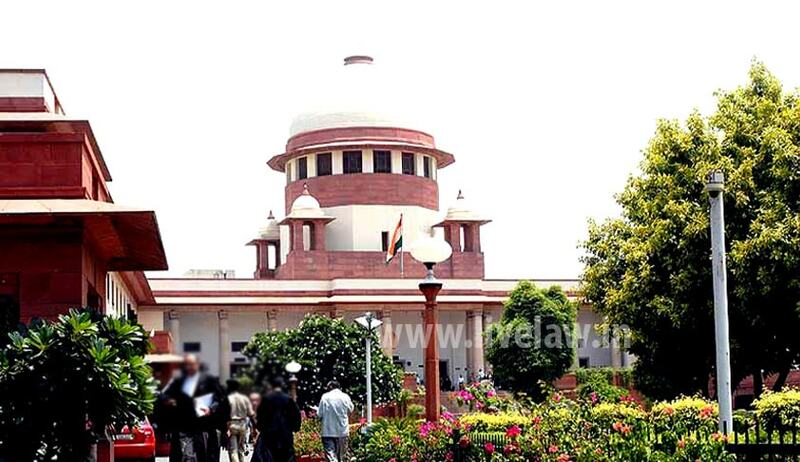 The matter ended up with the seven judge bench as questions were raised on its 1995 verdict by a three judge bench which held that vote in name of "Hindutva/ Hinduism" did not prejudicially affect any candidate and since then three election petitions are pending on the subject before the apex court. On February 2, 2014 a five-judge Constitution Bench comprising Justices R.M. Lodha, A.K. Patnaik, S.J. Mukhopadhaya, Dipak Misra and Ibrahim Kalilfulla, posted the issue for consideration by the seven-judge Bench, along with a reference of seven-judges of an appeal already made as early as in August 2002, pending adjudication. In elections in Maharashtra after the 1992-93 Mumbai riots, Shiv Sena leader Manohar Joshi had promised to turn Maharashtra into India’s first Hindu State. The Bombay High Court nullified Joshi’s election as by seeking vote in the name of religion he violated the constitutional commitment to secularism. However, the former Chief Justice of India, J.S. Verma, heading a three-judge Bench of the apex court, overturned the High Court verdict. Subsequently, the five-judge Bench also held that a candidate would not be guilty of a corrupt practice if he/she appealed to persons to vote or not to vote on grounds of religion as long as it was not his/her religion. The issue was thus referred to a seven-judge Bench. The bench headed by justice Lodha was dealing with the appeal filed in 1992 by BJP leader Abhiram Singh, whose election to 1990 Maharashtra Assembly was set aside in 1991 by the Bombay High Court. A three-judge bench on April 16, 1992 had referred Singh's appeal in which the same question and interpretation of sub-section (3) of Section 123 of the Act was raised to a five-judge Constitution Bench. While the five-judge bench was hearing this matter on January 30, it was informed that the identical issue was raised in the election petition filed by one Narayan Singh against BJP leader Sunderlal Patwa and the apex court's another Constitution Bench of five Judges has referred a larger Bench of seven Judges. Thereafter, the bench headed by Justice Lodha referred Singh's matter to the Chief Justice for placing it before a seven-judge bench. "Be that as it may, since one of the questions involved in the present appeal is already referred to a larger Bench Of seven Judges, we think it appropriate to refer this appeal to a limited extent regarding interpretation of sub-section (3) of Section 123 of the 1951 Act to a larger Bench of seven Judges. "The Registry will place the matter before the Chief Justice for constitution of a Bench of seven Judges. The matter may be listed subject to the order of the Chief Justice," the January 30 order said. It said,"In the course of arguments, our attention has been invited to the order of this Court dated August 20, 2002 in Narayan Singh vs. Sunderlal Patwa. By this order, a Constitution Bench of five Judges has referred the question regarding the scope of corrupt practice mentioned in sub-section (3) of Section 123 of the 1951 Act to a larger Bench of seven Judges. "This became necessary in view of the earlier decision of a Constitution Bench of this Court in Kultar Singh vs. Mukhtiar Singh," the bench said. “These provisions by implication prohibit the establishment of a theocratic State and prevent the State either identifying itself with or favouring any particular religion or religious sect or denomination. The State is enjoined to accord equal treatment to all religions and religious sects and denominations. The State is enjoined to accord equal treatment to all religions and religious sects and denominations.."
According to Justice Chinnappa Reddy “Bommai was a triumph for secularism and by upholding the secular principle in the manner that it did, the court achieved a high trade mark. But very soon, hardly a year after Bommai, all was forgotten and a violent blow to secularism was struck in to trio of cases which not created a little sensation and caused several eyebrows to be raised. ; the case of Bal Thackeray, Manohar Joshi, and Mahdix. Here the Court consisting of Justice Verma and two other judges expounded by their conception of the philosophy of Hindutva. The case arouse out of election disputes in which the corrupt practices alleged related to appeal to religion. The learned Judges referred to the words of S. Radhakrishnan, Monier Williams, Arnold Toynbee, etc., to arrive at the conclusion that Hindutva should be understood as a way of life or a state of mind and should not be equated with or understood as religious Hindu Fundamentalism. According to Senior Advocate and commentator Noorani, Verma’s judgment is absurd as it termed Hindutvaas a synonym of Indianisation. Further that,two rulings of a Constitution Bench quoted by Justice Verma to support his views are of equal irrelevance. Mr. Noorani condemns that nearly eighteen years have elapsed and not one Chief Justice of India who served since 1996 thought it fit to constitute larger bench to settle this issue authoritatively. In April 1996 a three Judge Bench in Abhiramsingh V. C D Commachen directed Chief Justice to constitute a larger bench to hear and decide the matter authoritatively. “Without expressing any opinion on these questions, we are of the view that the entire case requires to be heard and decided by a large Bench of five Judges since the decision thereon upon the purity of election process and requires to be decided authoritatively. We, therefore, direct the Registry to place the case before our learned brother, the Chief Justice for constituting a larger Bench of five Judges, and, if possible, at an early date so that all the questions arising in the present appeal could be decided authoritatively and expeditiously”, the Court said.